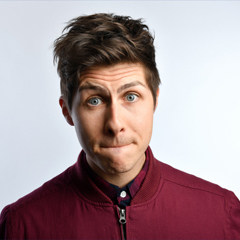 TV magician Ben Hanlin returns to the Edinburgh Fringe this year with his brand-new show, and this is your chance to see it first! Ben has searched the globe and the history books to find the fifty best magic tricks ever performed. He's added his own cheeky spin, and presents them in this fast-paced magic show! Ben's warm and fun personality have made him a regular TV face, appearing in his own ITV2 show, 'Tricked', Celebrity Juice, Live at The Palladium and many more. In 2016, his debut Edinburgh show, 'Tricked' was a great success achieving 4/5* reviews!